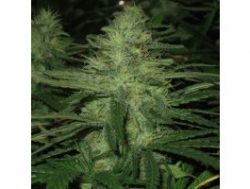 Female seeds company Grapefruit dope seeds produce a super potent sativa dominant strain which can finish as fast as an indica and gives off a pungent fruity aroma. Harvest outdoors : End Oct.
For those who like it sweet! A new style sativa; early maturing, fast flowering and maximum yielding. Buds have a soft smell of grapefruit, sweet taste and intense tropical high. This is a 75% C99 x 25% strong fruity sativa, stabilised on early maturity for some generations now. Plants grow up to 50 to 60 cm, when put under 12/12 hrs after one week of germination. This one is still undergoing an stability-program, although with 80% being winners not a bad choice. Our test results for batch # FS-GF-0503: no males or male flowers found. Chronic regular from the serious seeds company is one of the biggest production cannabis strains in the world and there is no compromise on quality either which is why its the number one choice for commercial growers in the Netherlands. Nirvana Northern Light is a marijuana strain which is highly suited to indoors. Nearly all promising modern indoor cannabis strains contain Northern Lights genes. 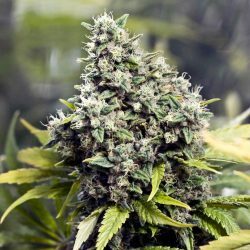 With its high flower-to-leaf ratio, compact buds, good yields and exceptional resin production, these wonderful marijuana seeds are a most lucrative choice for indoors. The smoke’s flavour is somewhat neutral, yet full-bodied.